This Mother's Day, there are a lot of brands doing giveaways, contests, and promos. Some were even generous, they will just ask you to like and share their picture, submit your details then you'll get to receive their goodies for FREE. One of them is Anchor Butter. 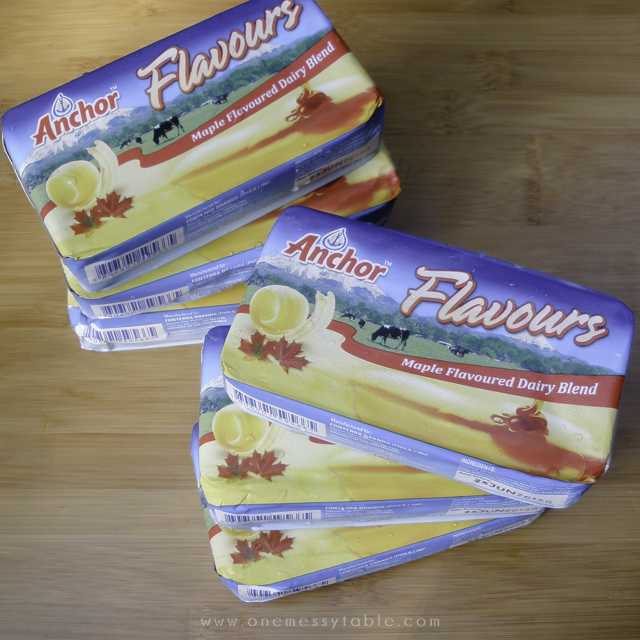 Each person will receive 3 pieces of 200g Anchor Maple Flavoured Butter. And since there were two of us in our household, we got 6! This is my first time to get a taste of a Maple flavored butter. Anchor Butter tastes yummy compared to other brands of butter, which made me really excited to know how good their flavored butter would taste. So, we opened one right away when we got home! And the verdict? It tastes real good! You can definitely taste the flavor of Maple syrup in the butter. And what comes first in my mind when I tasted it? PANCAKES & WAFFLES! As if I'm already having an actual pancake and waffle right at the moment! The trip to their office to claim these goodies is definitely worth it. Thank you, Anchor!